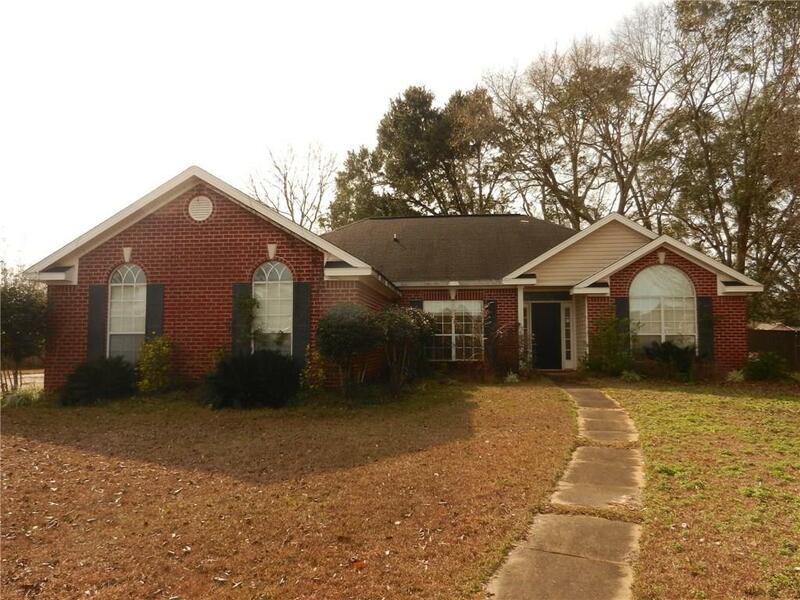 3 bed 2 bath brick home with double garage in popular Woodland Hills for sale. This home is situated on a large lot at the end of a quiet culdesac. This home boasts a spacious open floor plan with the bedrooms split on opposite sides of the house. The living room is large with a nice double tray ceiling and corner gas fireplace. The master suite also features a tray ceiling while the glamour bath includes his and her closets, double vanity, garden tub and separate shower. This is a great opportunity in the Semmes area. Call today for your personal tour!